Winter has definitely arrived which means that it is time to think about how you will stay warm outdoors. The temperatures here dropped down into the teens this week, which made me scramble to find my driving gloves. I just can’t stand it when my hands get cold. So, I started thinking about all of you and how you could keep your hands warm this winter. I love knitting and have thought about knitting all of my kids some new mittens to keep their hands warm this winter, and I thought that you may enjoy a few free patterns, too. Whether you knit or crochet…or both…you are going to find the perfect pair of mittens to keep your hands warm and toasty this winter. I found 30 amazing patterns, all of which are perfect for anyone in the family. The patterns are gender neutral. You just have to choose the yarn color that you need. Some of these are even perfect for beginners. And if you want some really great beginner projects, check out these 100 free crochet patterns that are perfect for beginners. You can make so many things from blankets to hats and more. These mitten patterns are perfect for pairing with your favorite hat or scarf because you determine the actual color and design of the yarn that you want to use. You can even make a pair of mittens to go along with one of the scarves in these 20 DIY scarves that will keep you stylish this winter. From babies to men, there are mittens in here for everyone in the family and they are all relatively easy to knit or crochet. There are even a cute pair of shark mittens that your little ones are going to adore! If you love to knit or crochet and you feel that you need new mittens for the family this year, you will find the perfect pattern in this list. 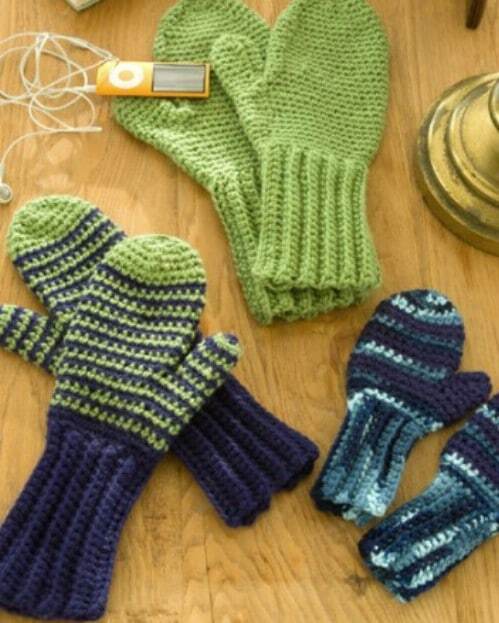 Fingerless gloves and mittens have become very popular thanks to iPhones and other electronic devices. If you have a teenager or pre-teen, you know how important it is that they have their fingers free for using those phones. These fingerless mittens are perfect. This is a quick pattern to knit and you can fold the top down to keep your fingers warm when you are not using your phone. These mittens work up pretty quickly. 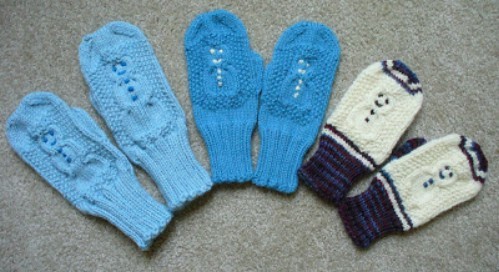 They are inspired by the mittens worn by Bella in the Twilight movies so any fan of those movies is going to love them. They are pretty long and cover your arms pretty far up so they are perfect for really cold days. 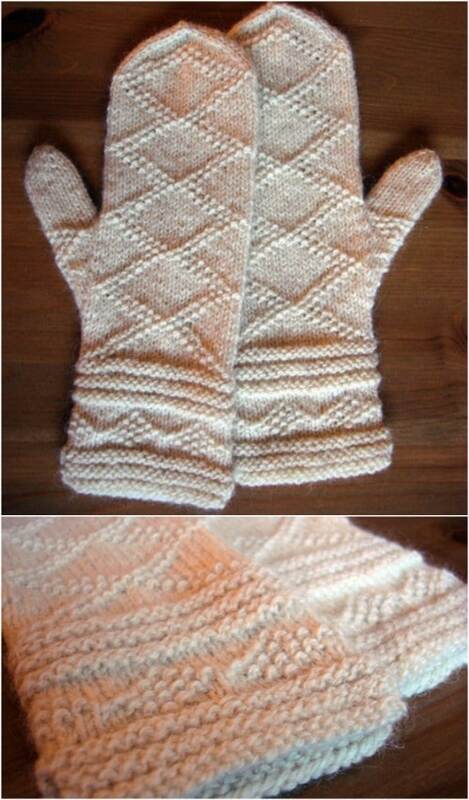 These are gorgeous thick mittens with a nice cable design on the front that are sure to keep you warm this winter. I love the pattern on these mittens. The actual knitting pattern is super easy to follow and you only need to know stockinette and purl stitches. The two together give the mittens such a decorative look and you can adjust the gauge to give you the size that you need. Adjust down for kids sizes or up if you need something a bit larger than the eight inches in diameter that are offered in the pattern. These crochet mittens are for adults and they are pretty easy to work up. The pattern lists them as somewhat easy so even if you haven’t crocheted a lot, you can still do these. They are pretty thick, too so they are going to keep your hands super warm and you can do them for men or women, just choose an appropriate yarn color and get to work. I love how this pattern lists sizes for men, women and children. 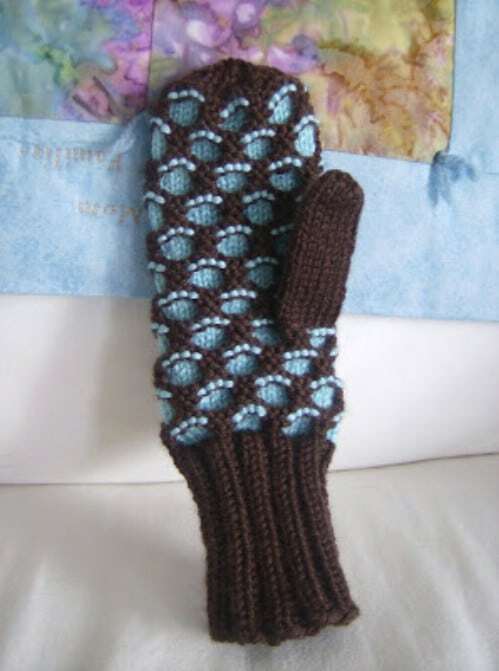 You can crochet a pair of mittens for everyone in your family. The design is lovely even if you are only using one color of yarn but using two colors is pretty easy with this one so you can make them unique if you want. You’ll need to know basic crochet stitches and be sure to follow the pattern in the specific size that you need. I love the design of the cuff on these crocheted mittens. 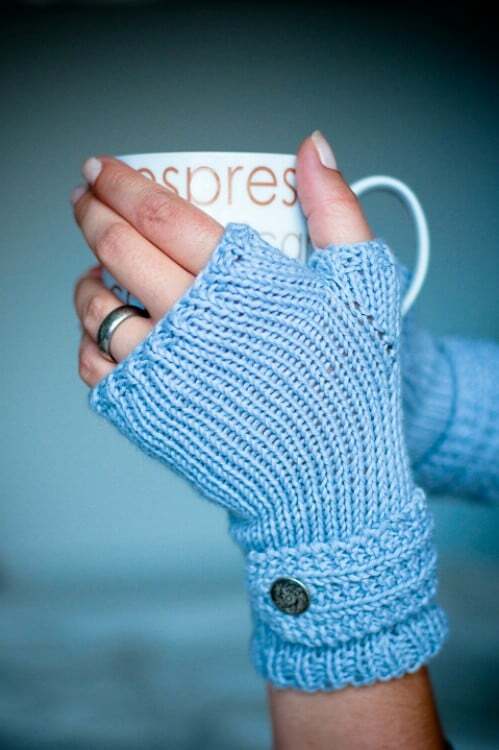 You add a button to the cuff to keep them closed and it gives the mittens such a decorative look. These are really easy to crochet and you only need to know basic stitches to work them up. You can definitely have these finished in just a couple of hours, even if you are relatively new to the world of crochet. Mittens on a string are my favorite because you never have to worry about losing them. You just run the string through your coat sleeves and they will stay perfectly in place. 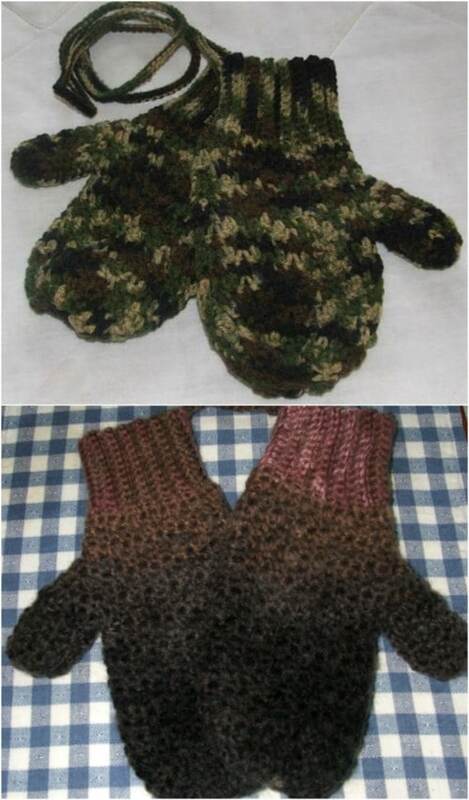 These crocheted mittens are in men’s sizes and are done in camouflage yarn, although you could use any color or combination of yarn colors that you want. 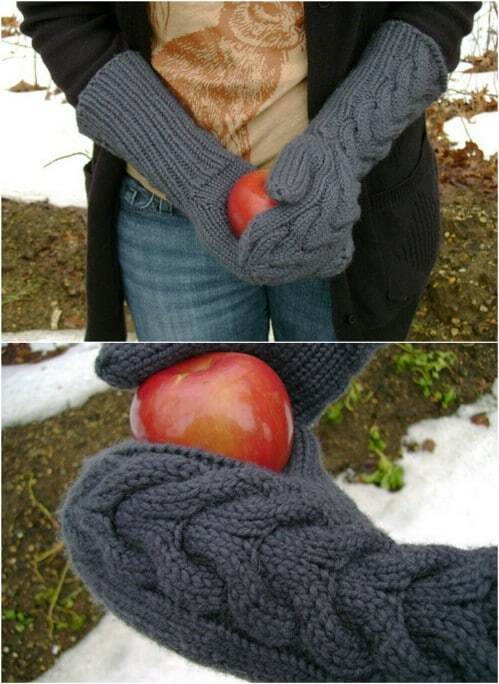 These are perfect for keeping your hunter’s hands warm while they’re out and about during hunting season. Here’s another pair of those popular fingerless mittens and these have an adorable button cuff that is really decorative. These are really easy to knit and only require you to know basic stitches – stockinette, knit and purl. You could make these as gifts for the holidays. Anyone who loves fingerless mittens for using their phones would love them and they work up pretty quickly. I love the design on these fingerless gloves. Of course, you can use whatever colors of yarn that you want, but the alpaca yarn makes them so soft and supple. These are also relatively easy to knit and won’t take you long at all to work up if you have any knowledge of knitting at all. They’re perfect for adding a bit of style to your warmth and they’re fingerless, so you can easily use your phone and other electronics while wearing them. This crochet pattern works with any worsted weight yarn and you can change up the colors if you want. I love the colors used – they definitely make you think of the movie Frozen. If you are making these for little girls, they are going to love the use of blues, but you can do them in whatever combination of colors you prefer. They work up pretty easily and don’t require you to know any really complicated crochet stitches. These flip top mittens double as fingerless and then you can flip the top down to keep your fingers warm when you don’t need your fingers to be free. I love the pattern – it is super easy to follow and you don’t have to know any complicated stitches. These are definitely better than straight out fingerless, especially if your fingers tend to stay cold during the winter, and they work up really quickly. These crochet mittens have a gorgeous herringbone pattern and pompoms and they are much easier to crochet than you may think. The pattern fits men or women and doesn’t take long at all to work up. You actually use knit and crochet to finish these, but that’s not difficult at all. The overall look is really pretty and you can adjust the gauge as needed to change the size. 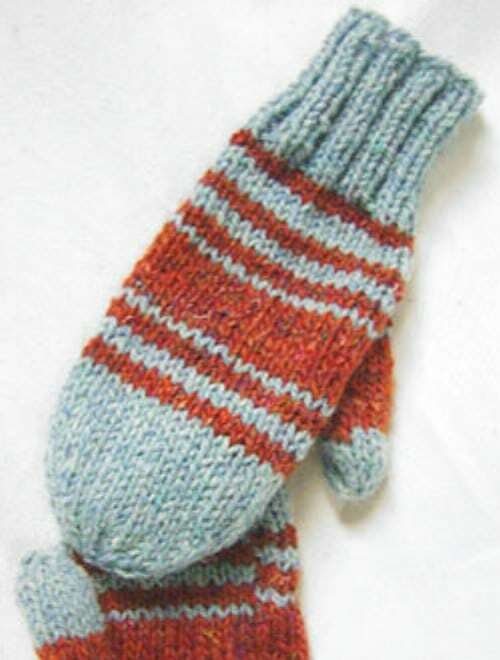 These hybrid mittens are a gorgeous color – although you control the color of yarn that you use. They are also perfect for when you need to text or otherwise use your phone because the tops pull back to reveal your fingers. When you don’t need your fingers exposed, the mittens keep them toasty warm. This one is so simple. You knit it flat and then seam it up the sides. 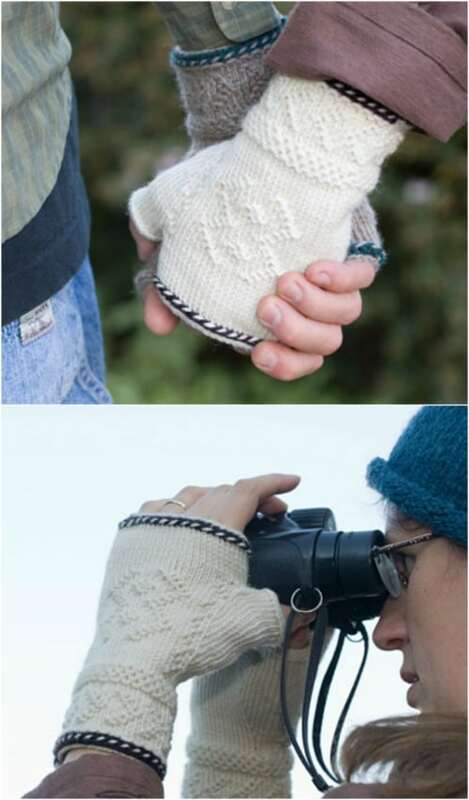 These mittens are another set that work perfectly for phone users. They are knit as a simple two by two ribbed pattern and they are so thick and warm! The ribbed pattern gives them such elasticity so the pattern is perfect for a number of sizes. If you need something really small, it’s not at all difficult to adjust the gauge to get the specific size that you need. Whether you have ever done twine knitting or not, these cute little mittens are going to be a relatively easy project. 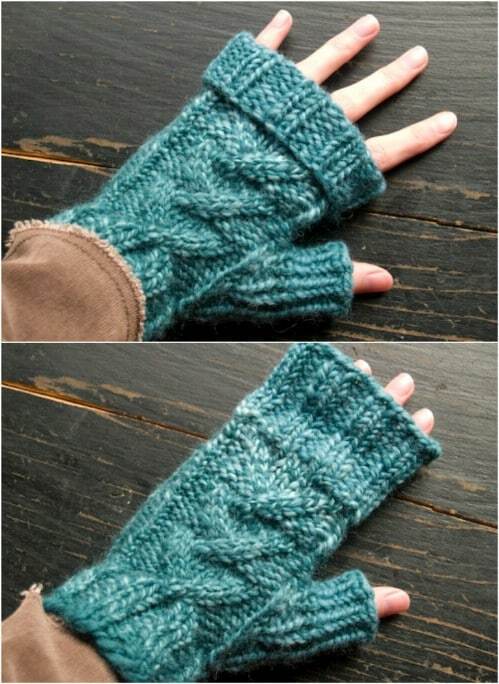 This is a great chance for you to learn a new technique and you will absolutely adore the mitts that you get to make. 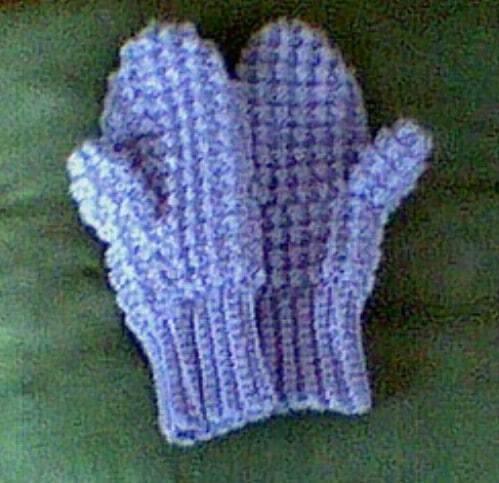 These make really durable mittens, too so you can expect to have these around for quite a few years after you make them. 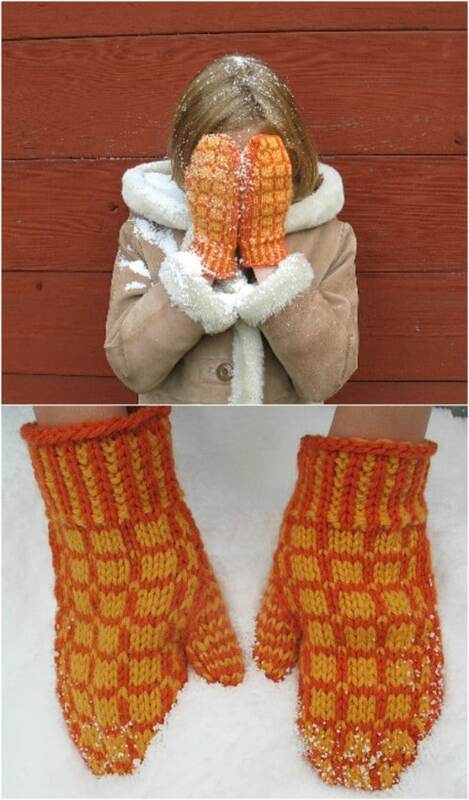 I love the use of orange in these Matrix mittens. 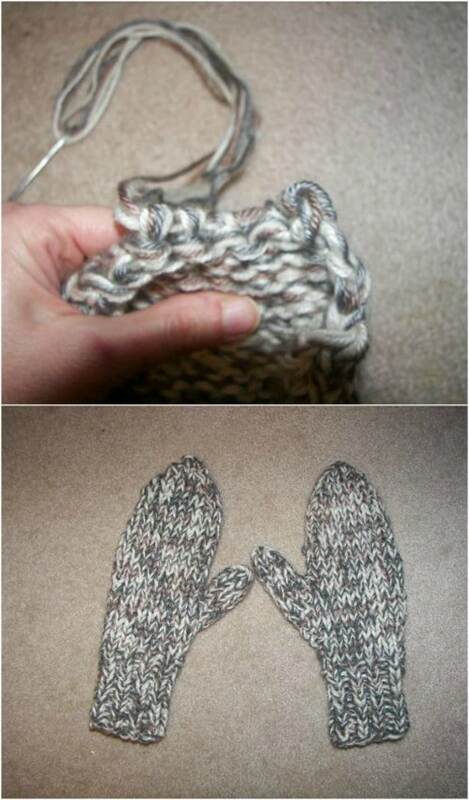 This is a pretty easy pattern, even if you are relatively new to knitting. You will need to watch the yarn that “floats” when you are working the thumbs, but that’s a super easy process. These turn out pretty quickly and of course, if you aren’t a fan of the orange, you can change up the colors however you like them. 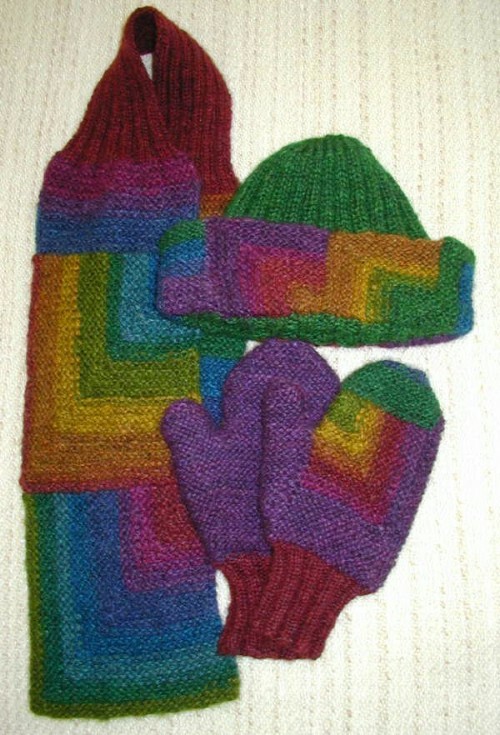 These colorful mittens use the mitered garter stitch and they are fabulous. The squares have such a unique look and the overall pattern is really great. The mitered garter stitch square is not at all difficult to make. You’ll have these worked up in no time even if you are completely new to knitting. Change up your colors to make these perfect for males or females. 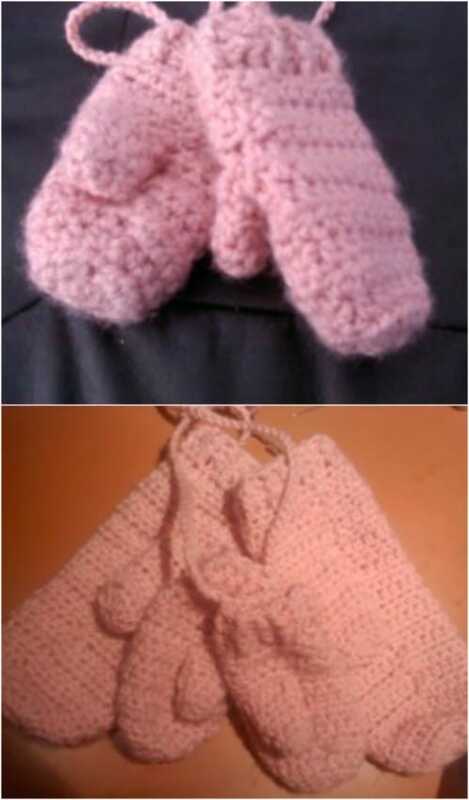 Give yourself and your little one the cutest matching mittens with this crochet pattern. You can adjust the gauge if needed for sizing but overall this is the perfect mommy and me set. 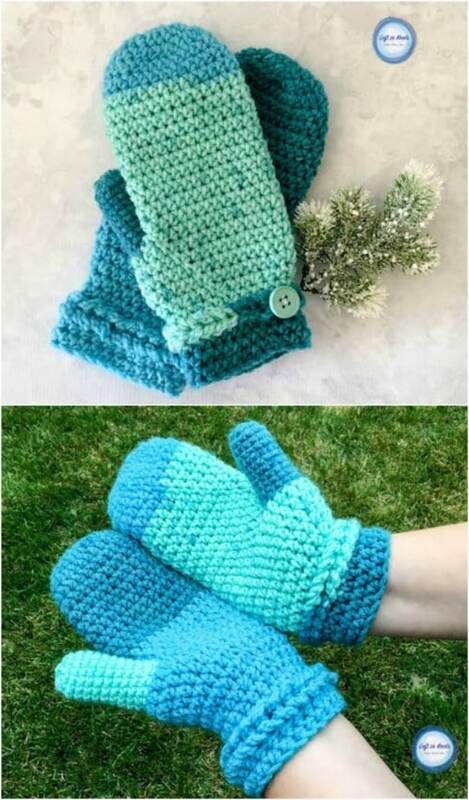 Of course, colors are up to you and you’ll need a couple of different sizes of crochet hooks to make the different sized mittens. How adorable is this set? And it works up pretty quickly. 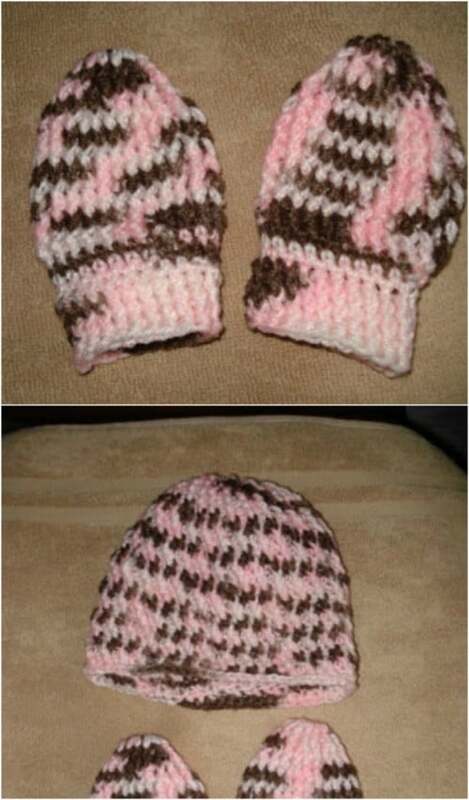 You can make a pair for you and your little one in just a couple of afternoons. If you have trouble getting your kids to keep their mittens on in the winter, I promise that you won’t have that problem when you knit them these adorable shark mittens. Seriously, how cute are these? The pattern is really easy, even given the different colors and specific details. Kids are going to adore wearing these and they make the most excellent gifts for little ones! I love the color contrast in these newfie mittens. The pattern is pretty simple and you don’t need to know any terribly complicated stitches. You will need a couple of colors of yarn for this one, to create the contrast, as well as a set of four needles in four millimeter size. This pattern is for adult sizes but you could adjust the gauge if you need to make them a bit smaller. 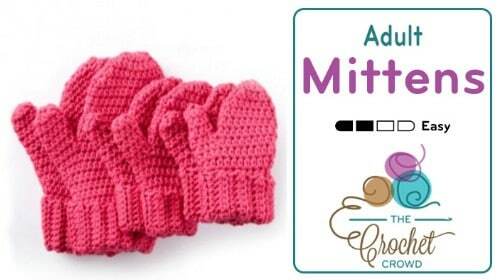 This easy to crochet mittens pattern will fit most adults and you only need two balls of yarn to make them. There are notes in the pattern for conversions and for adjustments to make them in different sizes. You could crochet an entire family’s worth of mittens with this pattern and it is super easy to follow. 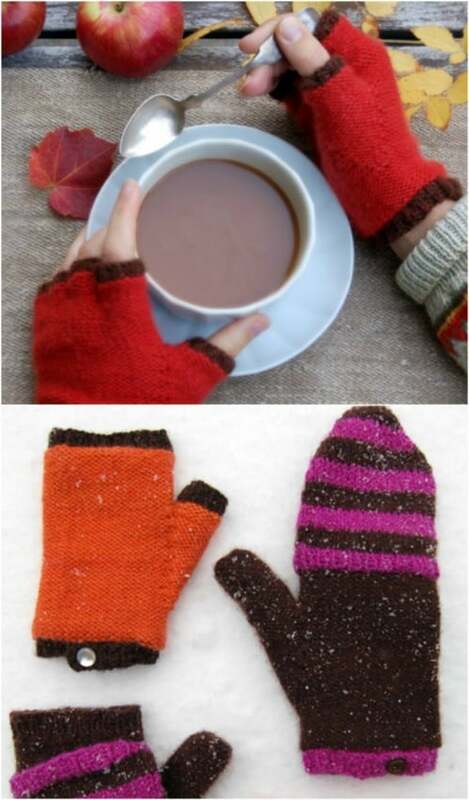 They work up pretty quickly and they are super thick so they will keep hands really warm this winter. 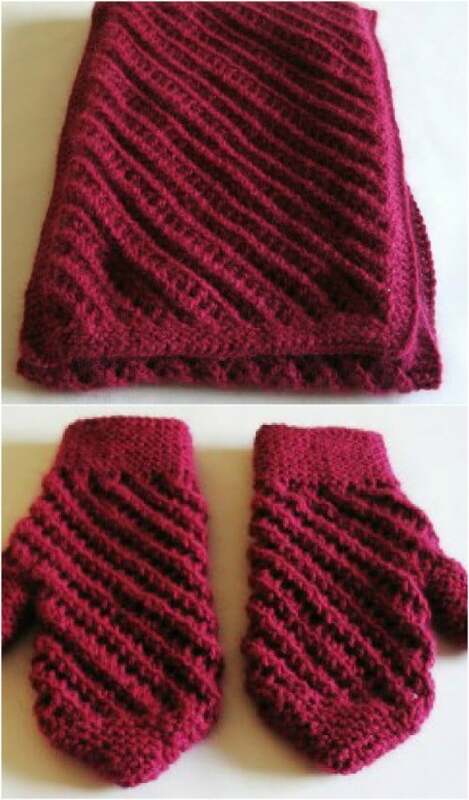 This pattern for knit mittens also has a matching scarf pattern and they are both gorgeous. They fit women’s size medium but you could adjust the pattern as needed to make them smaller or larger. The only stitch you need to know is the garter stitch and then there is a lovely lace pattern to follow but it is really simple. These retro looking mittens can be worked up pretty quickly and the pattern fits children or women. They are worked from top to bottom in rounds of half double crochet. This is a great pattern for beginners as it’s not terribly difficult and the mittens are so warm and soft, depending of course on the yarn that you choose. There is also a great design on the sides that is so simple to add. You can seriously work these knit mittens up in just a few hours and they are so chunky and warm! You don’t need to know any complicated stitches so this is a great pattern for beginners. They really do work up quickly and they produce such adorable mittens that are chunky enough to keep your hands warm but not so chunky that you can’t function with them on. These will be your favorite driving mittens! I love this pattern! 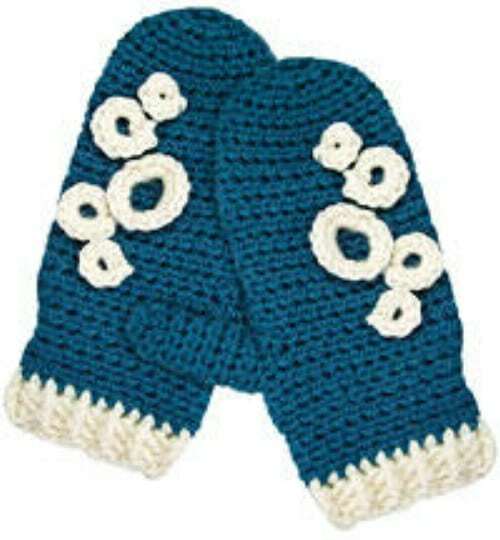 These mittens are perfect for winter with their little snowflakes crocheted in. 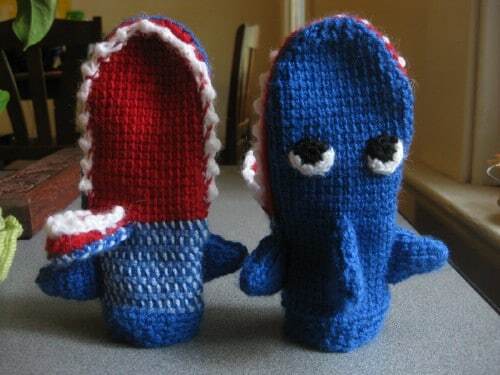 They look like they have been knitted but you actually crochet them. The pattern is super easy to follow and the colors of dark blue and white really give them a snowfall look, hence the name. You can work these up in just a couple of hours and the pattern can easily be adjusted for the specific size that you need. These snowman mittens are really easy to make and the smallest size just requires one small ball of worsted weight yarn. The pattern uses a simple cable stitch and the directions give you everything you need to make these, right down to the adorable little snowmen that are on the backs. These are perfect for Christmas gifts if you know anyone who could use a cute pair of snowman mittens. These cute little mittens have squirrels knitted right into them. 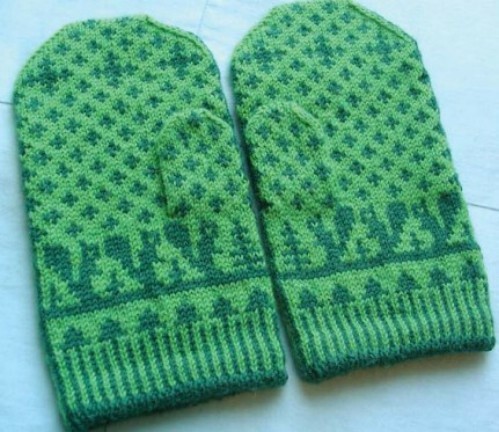 The pattern is really easy to follow and let’s face it, you know you need a good pair of squirrel mittens. The overall design is gorgeous and it is much easier to knit than you may think. 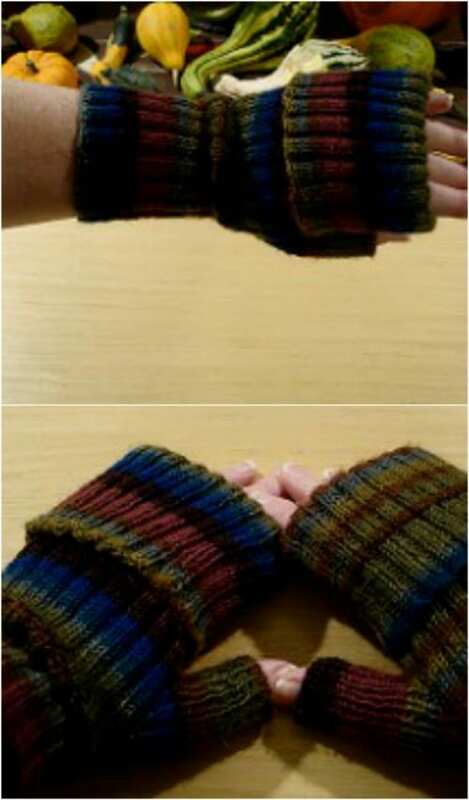 The pattern fits a woman’s medium sized hand but you can adjust as needed to make them smaller or larger. These mittens are really cute and they aren’t at all difficult to make. The pattern does say that it is suitable for intermediate crocheters but beginners can tackle this one, as well. Just pay strict attention to the details. 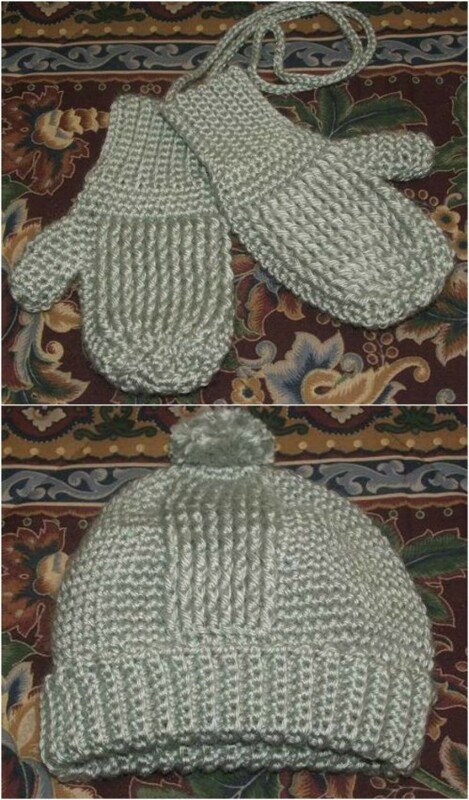 The mittens also have matching hat patterns available so you can create an entire set and there are hats for boys and girls with mittens to match. If you have an infant, you don’t really need mittens with thumbs. 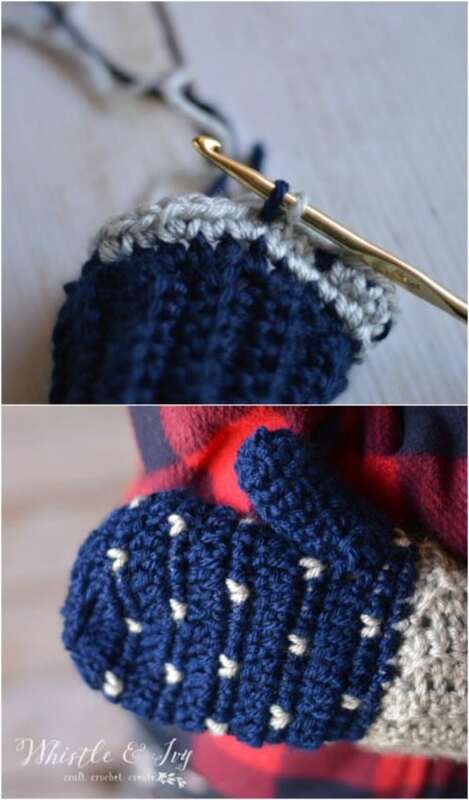 These thumbless crocheted mittens are perfect and this pattern is really quick and easy to work up. You don’t even need much yarn – since they’re for little ones. They’re also thick enough to keep baby’s hands warm but not so much that they will bother your little one while he or she is wearing them. 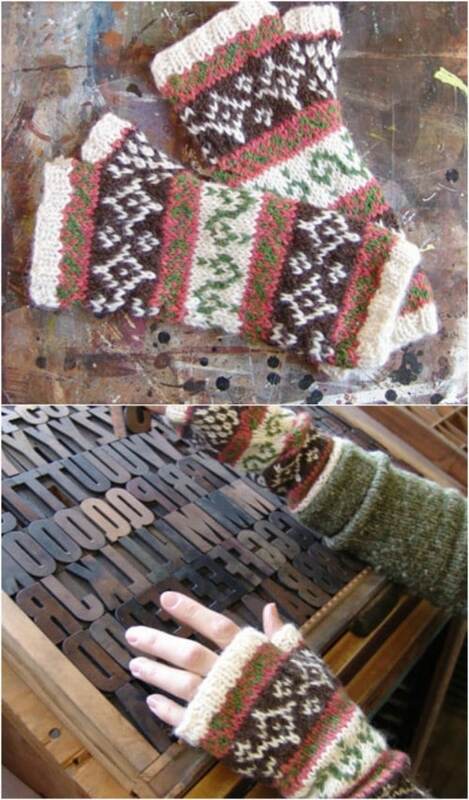 These mittens have a very classic tweed look and they are fabulous. You knit these with a worsted wool and wool silk blend. 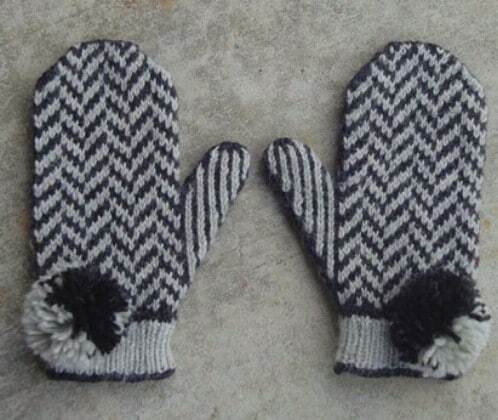 They are so warm and the pattern is sized for an average woman’s hand. You will need one skein of worsted weight and one skein of wool silk blend yarn to make these, as well as size seven double pointed needles. 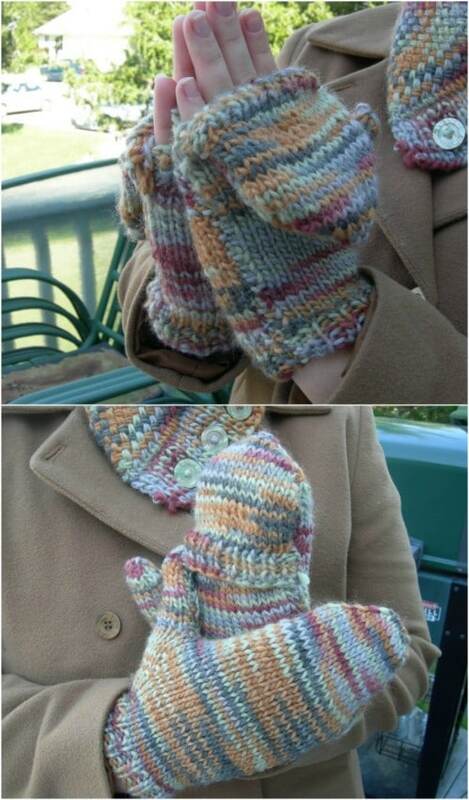 The pattern works up pretty quickly and the mittens are absolutely fabulous.